① Think of how you want to draw ‘Gahyeonie’s 4-cut comic’! ③ Please take a picture of your drawing or scan it (including your fancafe nickname)! message to Gahyeon. Upload it as a secret message and you are done! * One entry will only be allowed for each person!! So be mindful!!! Dreamcatcher Gahyeon will be personally choosing! Please confirm the official details below and I hope that there will be a lot of participation! ① Think of a 5 syllable acrostic poem for ‘’하늘을 넘어’ (Using each word to form a sentence, making a poem)! fashion sense is.. Um ha. Even though I like my style I would like to see everyone’s style and wear it! Please confirm the official details below and participate a lot!. ① What style of clothes will suit Yoohyeon? Please think about it! ② Please capture the image of the style that Yoohyeon will suit! a category under the ‘이벤트’(event) section, including your message to Yoohyeon. Upload it as a secret message and you are done! * One entry will only be allowed for each person. * Posts that do not adhere to the rules will be disqualified for the event. I! Dreamcatcher’s Yoohyeon will personally pick! Hahat! Please post all types of styles~! I will believe in everyone’s fashion sense! To commemorate Dreamcatcher’s 2nd Anniversary fan song special single [Over the Sky]! There will be a ‘Draw Handong’s Caricature’ event. ① Choose a Handong picture from the official fancafe or from pictures uploaded on the official SNS (twitter, instagram etc)! ③ Please include your fancafe nickname underneath your drawing! including your message to Handong. Upload it as a secret message and you are done! ① Somnyas, please draw your 5 wolf emoticons on paper. Tip. I will be focusing and choosing based on the wolves’💙varied expressions. ② Please include your fancafe nickname at the bottom of your drawings. ③ Please take a picture of your drawing with your fancafe nickname, snap! with your message to me. Upload it as a secret message and you are done! Dreamcatcher’s Singni will be choosing personally!! To celebrate the release of Dreamcatcher’s 2nd anniversary fansong special single Over the Sky, a calligraphy event is ongoing! together with your message to Sua. Upload it as a secret message and you are done~!!! Really easy right~! Dreamcatcher 2nd Anniversary~celebration fansong! Special🌟 Single [Over the Sky☁] release commemoration!!! ④ Post your picture that has your fancafe nickname under [하늘 사진 콘테스트], a category under the ‘이벤트’(event) section, including your message to Jiu. Upload it as a secret message and you are done!! Dreamcatcher Jiu will pick the winners personally!! K-POP Girl Group Dreamcatcher which has been attracting attention worldwide with its metal rock sound and overwhelming performance, will make its official debut in Japan on the 21st of November (Wednesday) with ‘What-Japanese ver.-‘. In addition, local events have been decided to celebrate this. Dreamcatcher debuted in January 2017 with a ‘Nightmare’ concept with rock sound, and created a unique position within K-POP, portraying dynamic performances and a unique world view. And with each single and mini album, they have expanded their boundaries and imprinted their presence all over the world. 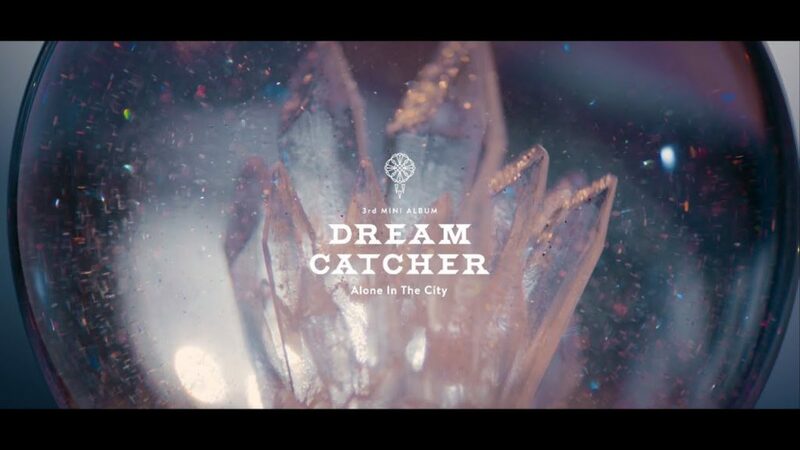 Dreamcatcher’s ‘What-Japanese ver.-‘ is the Japanese version of the title song from their 3rd mini album「Alone in The City」which was released in Korea in September this year, its music video has surpassed 1.3 million views on YouTube, and it is receiving a heated response. Also, the Japanese version of their Korean debut single ‘Chase Me’ and an original Japanese song ‘I Miss You’ will be included in the regular edition. 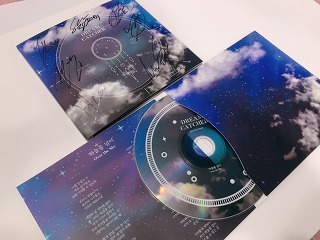 In addition to the special DVD, the first limited edition A includes the music video of ‘What-Japanese ver.-‘ and precious making videos of the jacket photoshoot & music video shoot. The first limited edition B contains a variety of contents such as「”WELCOME TO THE DREAM WORLD” WORLD TOUR “TOKYO”」digest video at Akasaka BLITZ, when its debut in Japan was announced back in July this year. In particular, local visits to celebrate their Japanese debut will be held in Tokyo and Osaka in late October. ※There will be a separate announcement later on the sale of goods and event details. this is Dreamcatcher’s fanclub representative. Fan letters as well as gifts are only accepted when delivered during official events or to the company. – When sending support, please send an email in accordance with the form below. – Please mention all articles and food exactly and send an email to happyfaceenter1@hanmail.net. – Personally visiting the company for support delivery is possible. – Please contact us at least three days in advance before the day planned for delivery. – Support that is delivered without prior consultation is not in the responsibility of Happyface. Posted on 20th March 2018 by totgeliebtLeave a Comment on [TRANS] Fancafe: 180312 I just ate chicken in Battlegrounds just now hehe. It’s been a while since I’ve written on the fancafe! Kekeke. Everyone!! A while ago we held our concert, did you come to see it…?! How did you find it!? I’ve worked really hard for it!! Hehe. And our InSomnias who couldn’t come! Are you doing well…!? I keep thinking about this song… Isn’t everyone? It’s not just me! Everyone.. Spring is about to start now~ Yahah!! It’s really amazing!!! Why… I caught a cold… Ahah and a word for our international fans too!!! Ah!! Everyone!! I just ate chicken in Battlegrounds just now hehehehehehehe. Gahyeon and it’s really fascinating. give it to everyone kekekekeke.